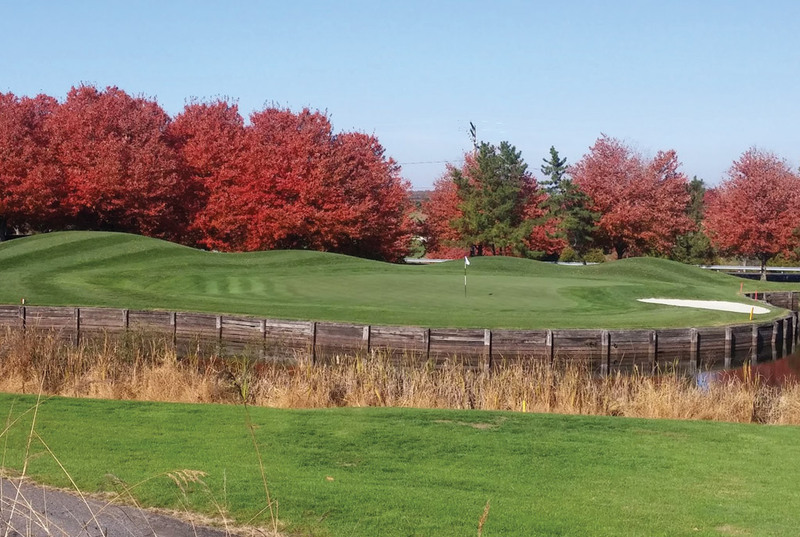 Golf course owners are responsible for contacting federal, state, and local water use authorities at the pre-and post-construction phases to determine annual or specific water consumption (water rights), permitting guidelines, and other regulatory requirements. Most uses of water in Maryland require a Water Appropriation Permit (WAP) from the MDE. Permitted users with withdrawals (surface water or groundwater) exceeding 10,000 gallons per day are required to report monthly withdrawals to MDE. MDE maintains a permit guide with information on water use appropriation and permits. Watering of tees and greens between the hours of 8 p.m. and 8 a.m.
Watering of localized areas with a handheld hose at the minimum rate necessary. Watering fairways when irrigation is reduced by at least 30%. As part of a necessary overseeding or resodding operation during September and October at the minimum rate necessary. During a Stage 4 drought, sources of water other than potable water should be used when available. In addition, irrigation of rough areas is not allowed. For more information on water use restrictions during drought, see the Maryland Statewide Conservation Water Conservation Advisory Committee Final Report. 2000.